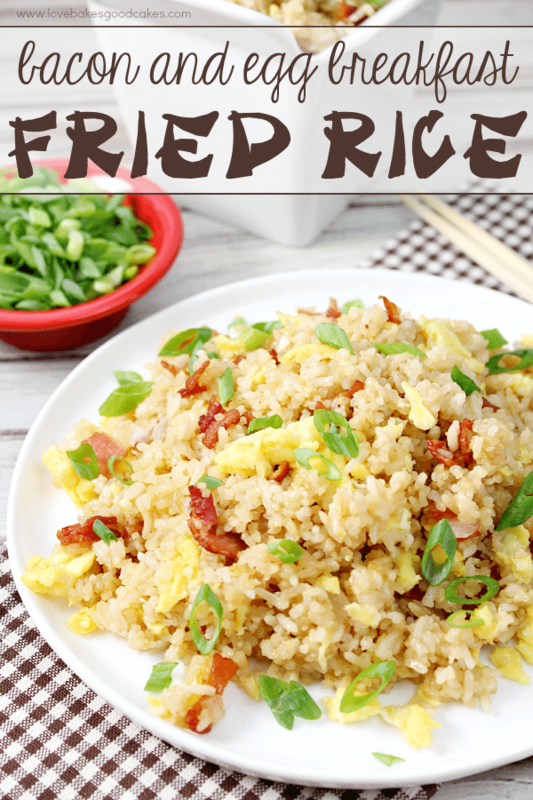 With the start of the new year, I wanted to share one of my new favorite breakfast ideas with you. As most of you know, I’m not really a breakfast eater – and my default breakfast if usually toast and coffee. Not very nutritional, eh? 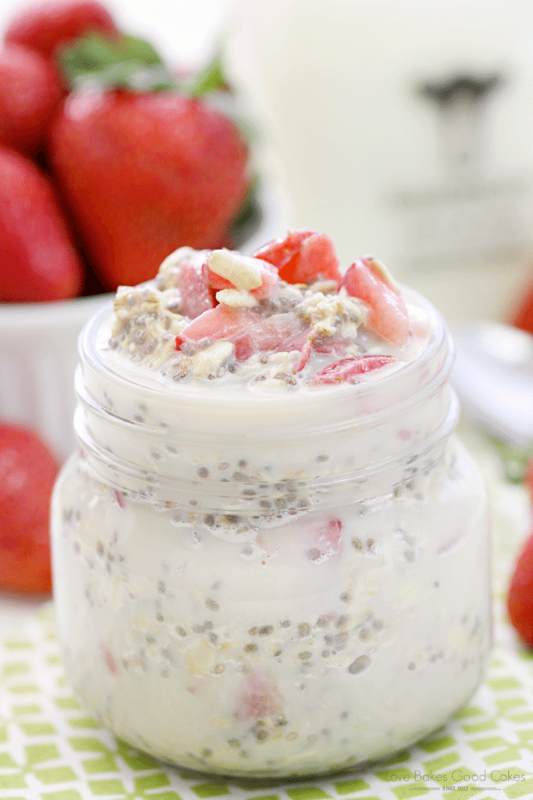 Overnight oatmeal. I found that I really, really like this! Some of the flavor combos almost seemed dessert-like! Omelets stuffed with spinach, tomatoes, and cheese. Or just scrambled eggs and salsa with a tortilla. Avocado toast with fresh tomato slices, and sometimes, an egg. A few weeks, I made my own make-ahead breakfast bowls … which reminds me, I need to make them again soon! Sooo good! 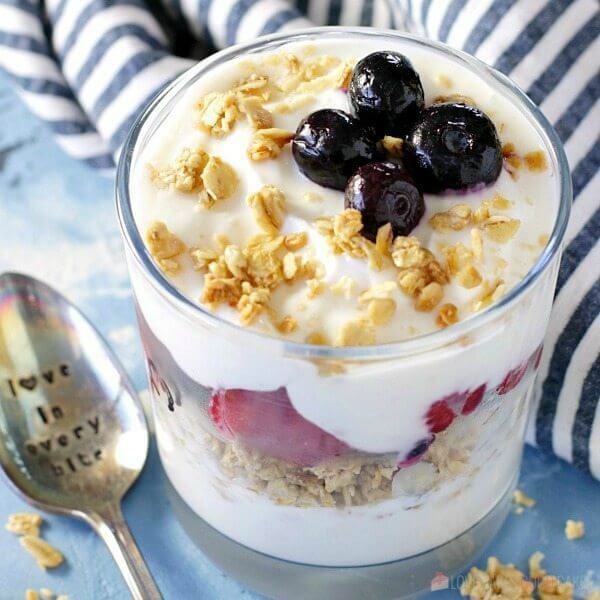 Fruit and Yogurt Breakfast Parfait. Not only did I love these little cups, but my kids loved them too! I loved being able to switch up the flavors and the fact that there was no cooking involved! My 6 and 8-yr olds loved making their own parfaits! 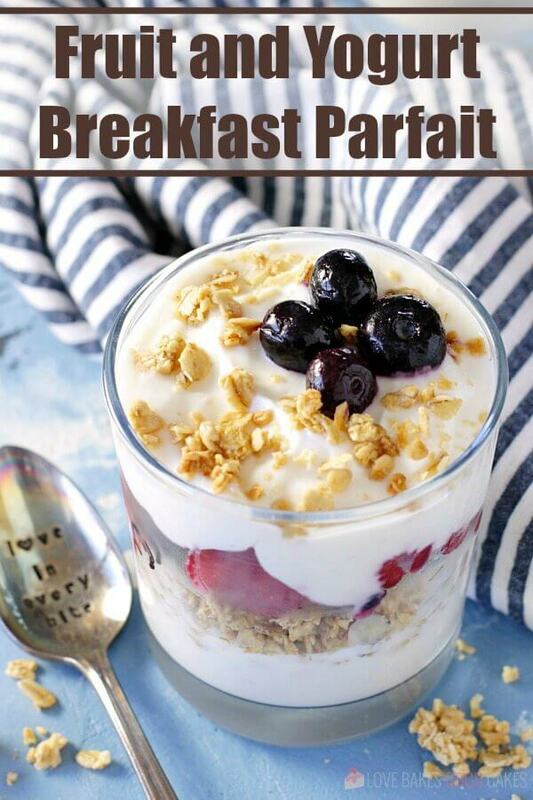 My personal favorite is a Mixed Berry and Vanilla Greek Yogurt Breakfast Parfait, but you can easily use your favorite fruit. Although I used frozen fruit, fresh fruit in season would be great! My next favorite flavor was a tropical parfait made with key lime Greek yogurt, pineapple, coconut, and macadamia nuts mixed in with the granola layer. Mmmmmm! My daughter loved vanilla Greek yogurt with Mandarin oranges and granola. Let your imagination run wild with flavor combos – we haven’t found a bad combination yet! Layer half of the yogurt in the bottom of a container. 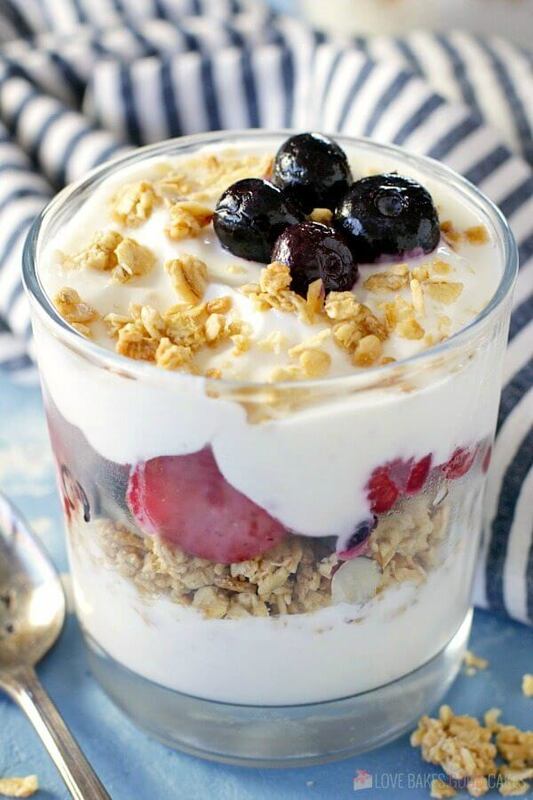 Top with half of the granola and half of the berries. Repeat layers. 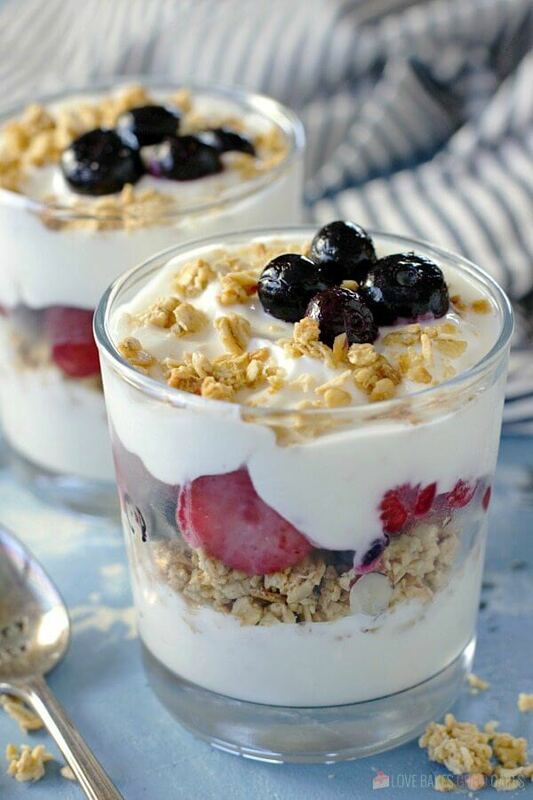 To prep this ahead: layer yogurt and berries into a container. Refrigerate. 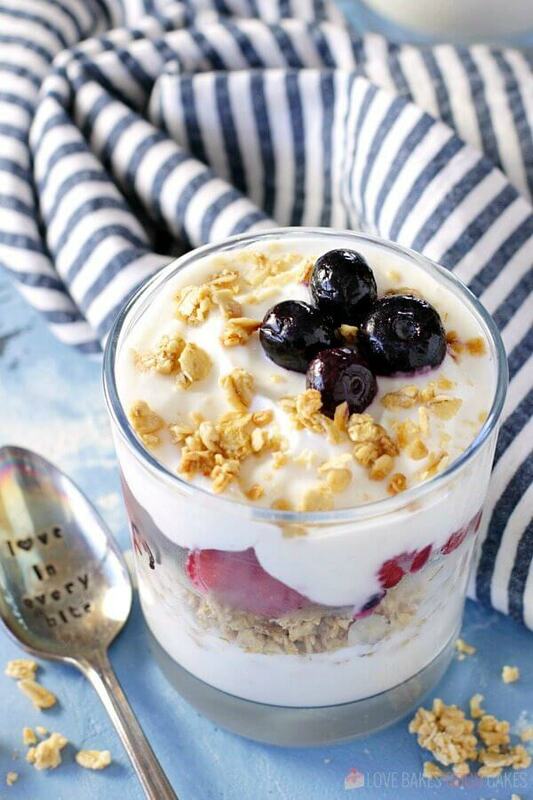 When ready to serve, sprinkle granola over the top. Switch up the fruit for new flavors. Lovely photo ! Love your attractive way of putting healthy ingredients together ! Thank you so much ! 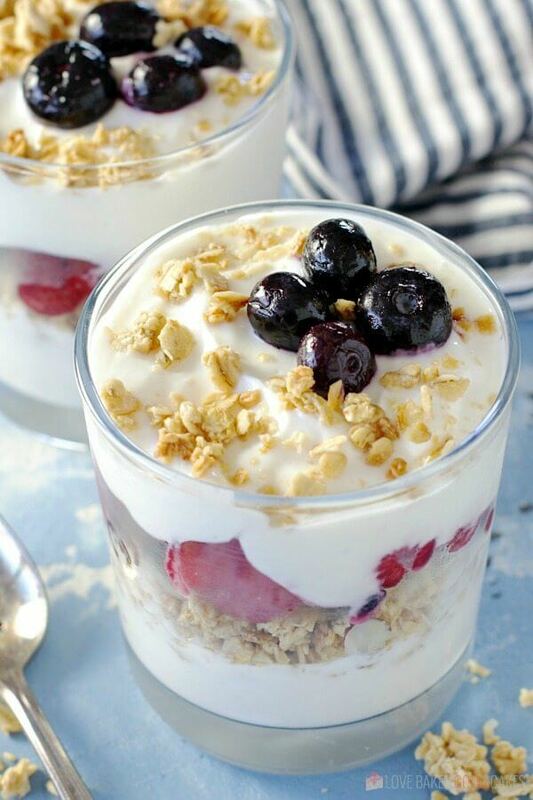 fruit and yogurt parfaits are soooo good! When I was on the road for work more, the drivethrough versions were one of my staples. I really should make them at home more!